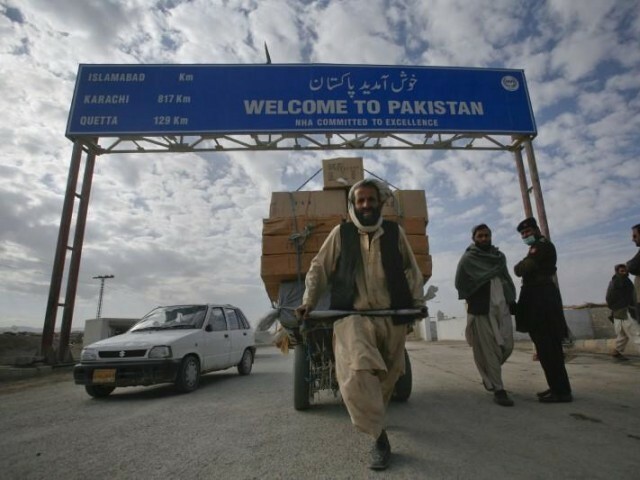 PESHAWAR: Indian goods were being transported to Afghanistan and Central Asian Republics (CARs) without having been profiled and against no foreign exchange, sources said on Tuesday. Goods were smuggled from India into Pakistan then transported to Afghanistan and CARs on fake Form-E showing the products as made in Pakistan with connivance of the custom clearing agents including those having been convicted by the Custom courts in the past, officials requesting anonymity said. Form E stands for Export Form which is issued by a bank at the time of export to client. It is a declaration that this export is being processed against the foreign exchange either it has arrived in the exporting country or is contracted to arrive after shipment maturity. Officials said that executing agencies were shocked to know about the Indian commodities exported to Afghanistan under the garb of Pakistani exports. Some of the commodities, according to senior Custom officials, were seized and destroyed. Interestingly, the goods were being exported through Form-Es issued by Pakistani authorised dealers clearly stating that both the importer and exporter were known to the bank authority which however was contrary to the fact that the goods were transported to Afghanistan and Central Asian Republics without having been profiled. Form E clearly states that goods were Pakistani and the Form E was certified by the bank authorities and filed with the Good Declaration to Customs authorities however it has been learnt that Customs never questioned Bank Credit Advise (BCA) which violates not only the International Law but law of the land. Official sources stated that Afghan traders purchase commodities in India, smuggle the goods into Pakistan where fake Form-E come into existence followed by the goods’ transportation into Afghanistan and CRA under the garb of Pakistani goods. The official stated that it was strange the convicts ran the similar business after having obtained national tax number in names of their relatives. Pakistan is the shortest possible land route for exports into Afghanistan and CARs where at the same time is the shortest possible route [Chabahar even] for Afghanistan and CARs exports into the Sub-continent, Sri Lanka, Malaysia, Bangladesh and other far-eastern countries. “It needs to be streamlined and we need a gentle push in order to boost our economy from around $2billion to maximum which shall definitely overcome the current trade deficit within minimum possible time,” the official informed however requested anonymity since he was not entitled to speak to media. Published in The Express Tribune, March 13th, 2019.